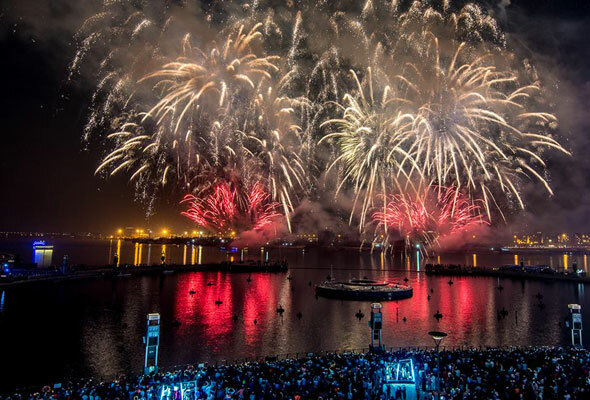 Skies across Dubai are set to light up this New Year’s Eve as the annual fireworks displays mark the start of 2019. Wondering where to see them? 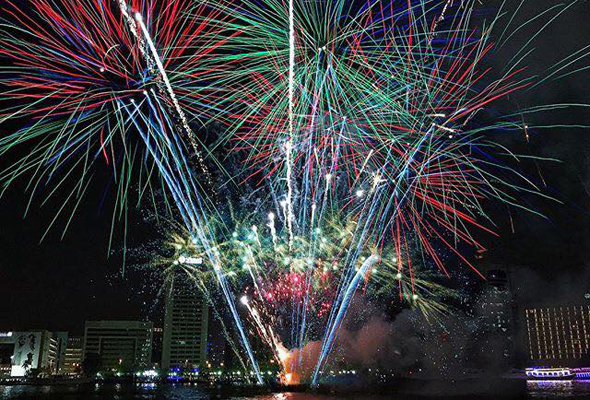 Here are all the places with fireworks in Dubai this New Year’s Eve. 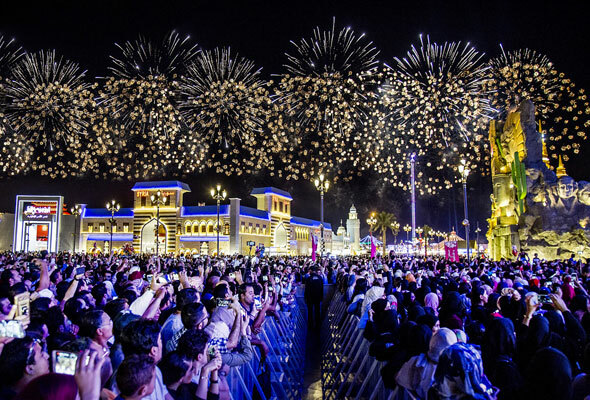 Global Village has announced it will host its biggest ever New Year’s Eve celebrations this year, with no less then seven huge fireworks displays. 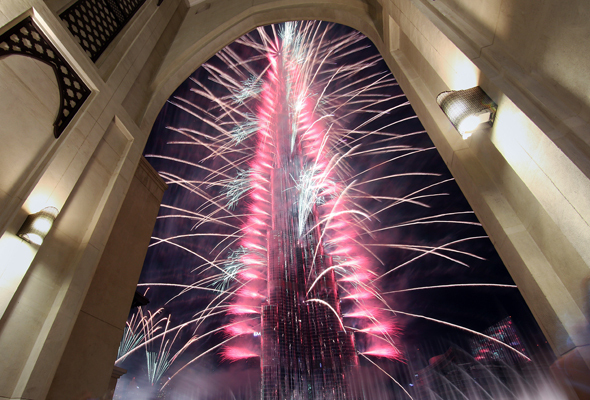 The fireworks displays will take place between 8pm and 1am, in time with New Year’s Eve celebrations around the world. Doors open at 4pm, with the theme park staying open until the later time of 2am. Tickets will be priced at the regular entry cost of just Dhs15. Atlantis The Palm has three packages, gold, silver and bronze, available across the hotel’s 10 signature restaurants, with the adult bronze package (available at Saffron, Ayamna, Kaleidoscope) priced at Dhs1,100, silver package (available at Bread Street Kitchen, Seafire Steakhouse & Bar, Ronda Locatelli, The Edge) costing Dhs1,600 and the gold package (available at Nobu, Hakkasan, Ossiano) priced at Dhs1,900. All packages include access to the midnight fireworks display on the Royal Beach with an open bar from 10pm to midnight, and a complimentary glass of bubbly at 12am. 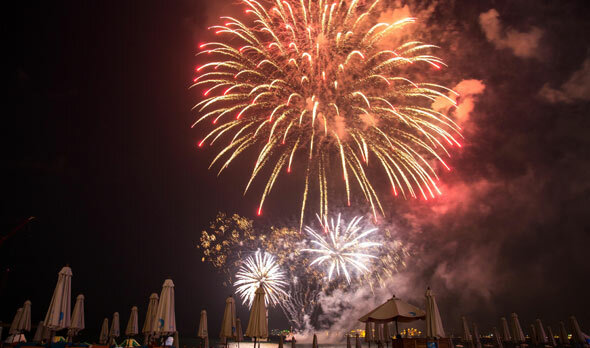 A second option on The Palm, Club Vista Mare will celebrate New Year’s Eve with a stunning fireworks display and bottomless dining options across its seven restaurants from 7pm on December 31. Packages start from Dhs111 for children, Dhs450 for food and soft beverages, and Dhs777 for food and house beverages. The Burj Khalifa was firework-free last year, with a stunning laser show in its place, but fireworks are back by popular demand this year. 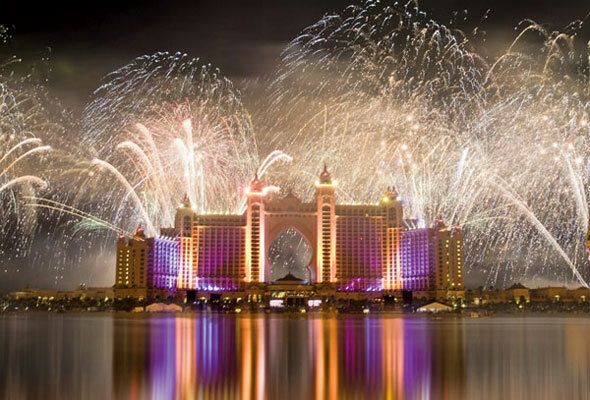 According to the statement, as well as the fireworks display, the New Year’s Eve Gala will also involve water-music performances from The Dubai Fountain. The show will be coordinated and produced by a team of world-class experts. Special viewing platforms will be set up across Downtown Dubai and across Burj Park, and the event will be broadcast live on television, beamed on big screens. The experience will also be available to watch online. To celebrate the new year, Dubai Festival City Mall has announced four firework displays alongside a schedule of live musical events and shows from global attraction, Imagine. The free entertainment at Dubai Festival City Mall will kick off from 7 pm. Festival Bay will then light up with fireworks at 9pm, 10pm and 11pm and a grand finale firework display at midnight to welcome in the New Year. Visitors can make the most of the evening on Festival Bay by dining at any of its waterfront restaurants . 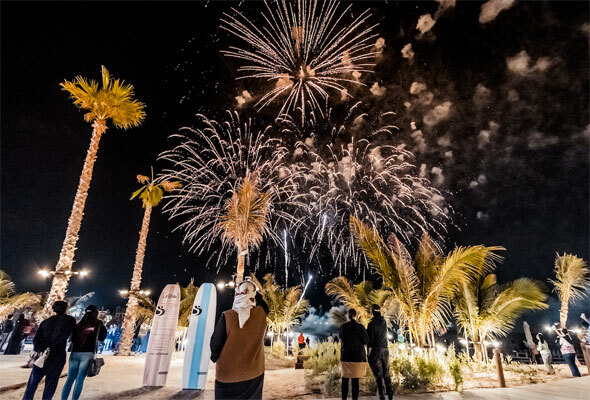 Popular with both tourists and residents alike, you’ll need to get down to The Beach on JBR early to bag the best spot for their annual New Year’s Eve fireworks display, which will light up the skies at midnight. If you’re headed to La Mer for New Year’s Eve, you’ll be treated to a glittering firework display as the clock strikes twelve. You’re welcome to just head down to the beachfront to see the fireworks for free, or make a night of it by booking a table on one of the terraces at the many restaurants there. Head down early for the midnight fireworks at Al Seef, and you’ll also be able to take part in the Al Seef festival, which has transformed the neighbourhood with carnival rides, live music a petting zoo and outdoor cinema and a newly installed waterfront market. 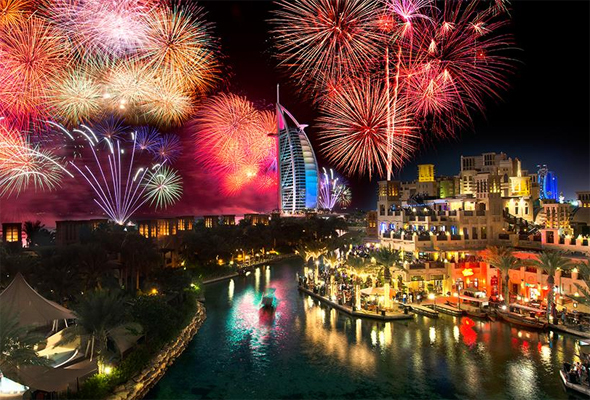 The fireworks against the dramatic backdrop of the Burj Al Arab are some of the city’s most stunning, and can be seen from various restaurants across the Madinat Jumeirah. Packages start from Dhs495 for unlimited bites and house beverages at Perry & Blackwelder, up to Dhs1,600 for unlimited food and house drink at venues including Zeng He’s and the Mina A Salam brunch. An eight-course menu with free flowing house beverages and bubbly at midnight on the beachfront at Rockfish will set you back Dhs3,800.